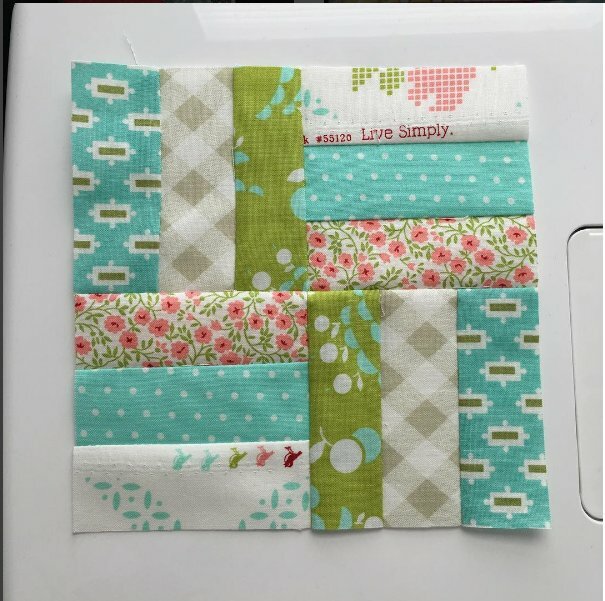 This one is such an easy block and a great place to start if you’re new to small piecing. Cut 6 strips 1.5″ x 7″. Sew into 2 sets of 3 strips. Press your seams in any direction! Cut your strip sets into 3.5″ x 3.5″ blocks. Arrange them as seen here. Voilá! One fast and easy 6.5″ filler block.